MetroPCS today indicated that its joyn service can now be used on a wider range of its Android handsets. The service initially launched on the Samsung Galaxy Attain 4G. It now also works on the Samsung Galaxy S III and S Lightray 4G; the LG Connect 4G and Motion 4G; the ZTE Anthem 4G; and the Coolpad Quattro 4G. Joyn is a standards-based Android application that collects and merges messaging services, such as IM and SMS. The app lets users conduct threaded text conversations and supports presence, which lets users know when their friends are available. It also makes it easier to share photo and video content when the user is on an active phone call (this is traditionally not possible on CDMA-based devices). Last, it lets MetroPCS customers make voice and video calls to other joyn users via Wi-Fi. MetroPCS today launched Rich Communication Services, or RCS, under the joyn brand. Joyn is a standards-based Android application that collects and merges messaging services, such as IM and SMS. The app lets users conduct threaded text conversations and supports presence, which lets users know when their friends are available. It also makes it easier to share photo and video content when the user is on an active phone call (this is traditionally not possible on CDMA-based devices). Last, it lets MetroPCS customers make voice and video calls to other joyn users via Wi-Fi. The service will first be available on the Samsung Galaxy Attain. MetroPCS said 10 more handsets will be joyn-enabled by the end of November. The service is meant to coax users into using the carrier-branded messaging tools rather than replacement services from the likes of Skype, iMessage, Google Talk, and others. MetroPCS today announced that is once again offering a $40 plan to all 4G LTE smartphones within its portfolio. 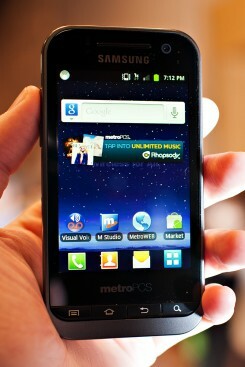 This plan had previously been available only for the Samsung Craft, which MetroPCS ceased to sell in December. The new $40 monthly plan includes unlimited talk, text, 4G web browsing, and 100MB of streaming media. Customers may also choose the $50 or $60 monthly plans, which add access to more streaming media. 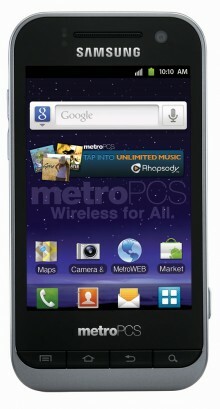 The Galaxy Attain is the result of trying to make a 4G LTE phone really affordable, for a prepaid carrier like MetroPCS. It's a cute little phone, with that blazing fast LTE inside. See how it stacks up in our hands-on. MetroPCS today announced the Samsung Galaxy Attain 4G, a new Android smartphone that supports MetroPCS's Long Term Evolution 4G network. The Attain 4G runs Android 2.3 Gingerbread, has a 3.5-inch display, and is powered by a 1GHz processor. The Attain 4G has a 3.2-megapixel main camera with LED flash and a 1.3-megapixel user-facing camera with Google Talk video chat software. The Attain 4G will cost $199.99 after $50 rebate, and will be available from MetroPCS stores and MetroPCS's web site in the next few weeks. Voice, messaging, and data plans start at $50 per month.